Foosball Erasers. 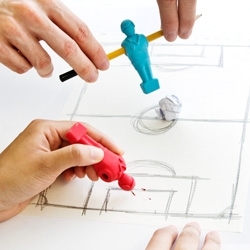 Draw a football pitch, slide these erasers on to your pencil and kick off a foosball match with your colleague! When the boss comes round simply erase all the evidence. 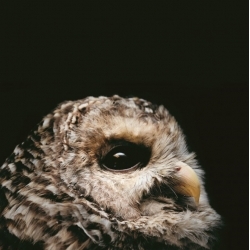 Photographer Traer Scott's new book "Nocturne: Creatures Of The Night" featuring a host of nocturnal animals. 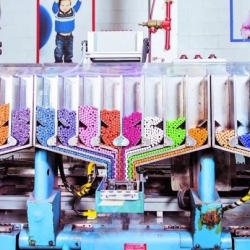 VIDEOWired take a look at how a Crayola Crayon is made in Process Crayola. At Bol&Mix we build together and fold together. 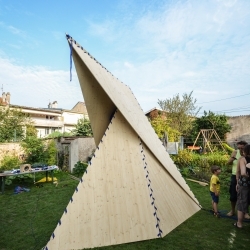 A new construction for 'La Fête de la Soupe' in Nancy, with les établissements Tourneux, Studiolada and Obika. 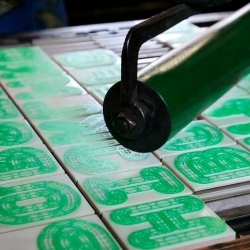 A23D, a 3D-printed letterpress font from 2-Type and New North Press. 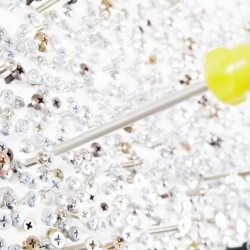 Yuma Kano created this installation of 36445 screws nailed into a large board and installed at Mannenbashi Park Building to represent Japan's industrial heritage. 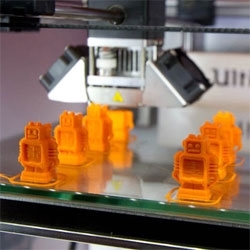 FEATUREDHighlights from the 3D Print Show in London, including printing with plants, printing food and more. 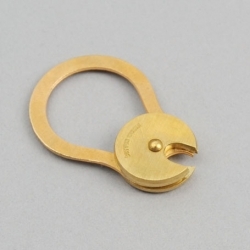 The revolving brass keyring from Buttonworks is a recreation of an 1800s design using rotating discs. 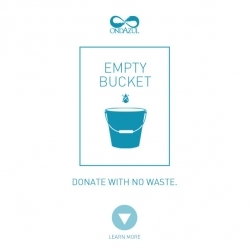 Brazilian agency NBS and the NGO OndAzul have created the Empty Bucket movement. 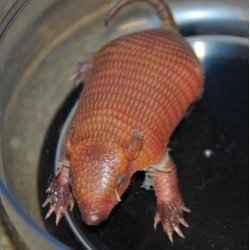 The project stimulates donations, although avoiding waste without dumping any drop of water. 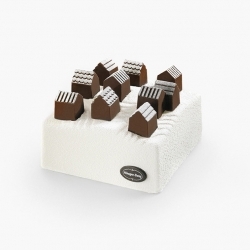 Great idea and cause, beautiful visual identity too! 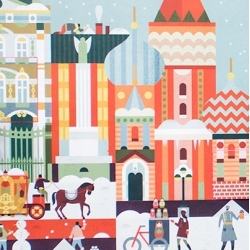 Walk This World by illustrator Lotta Nieminen. 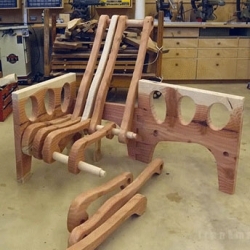 VIDEOFrank Howarth creates stop motions of the creation of his creations in wood. 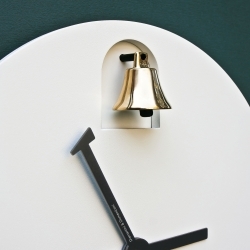 DINN Musical Clock by Alessandro Zambelli for Diamantini & Domeniconi. 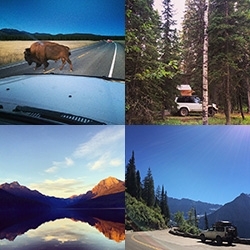 FEATUREDInspiration exploring from LA to Yellowstone National Park to roadside bison to cocktail pasties to Glacier National Park to camping at Bowman Lake and cruising the magnificent Getting To The Sun Road... and everything in between! 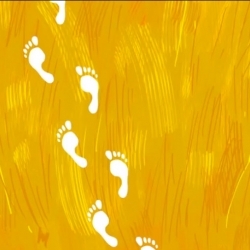 VIDEOAlex Gendler explains how languages evolve with illustrations from Igor Coric from Ted Ed. 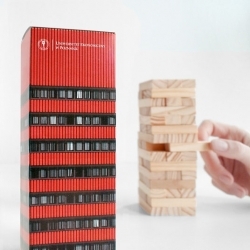 Zupagrafika's modern packaging for jenga using the Poznan University of Economics' Collegium Altum tower. 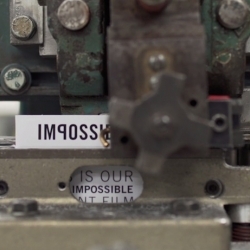 VIDEOImpossible. Despite the deep and complex chemistry of analog instant film, with new meaning, it has returned to our lives. Turning light into images, if not ingenious, is then the simple joy of watching magic develop. Heartwood Forge. 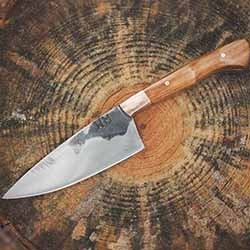 Handcrafted knives made to stand the test of time, and reclaimed lumber from saw mills in the Southern Appalachian region. 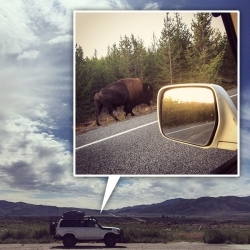 By Will Manning of Jefferson, Georgia. 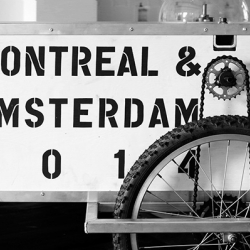 The cargo-like drawing machine by Fxstg to draw streets and canals of Amsterdam. 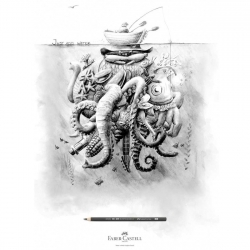 Just add water campaign for Faber-Castell by Ogilvy & Mather, Hong Kong. 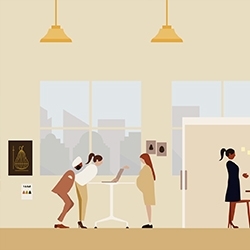 VIDEOHerman Miller's "Workers are Shoppers" campaign, illustrated by Daniel Carlsten and animated by Dress Code. 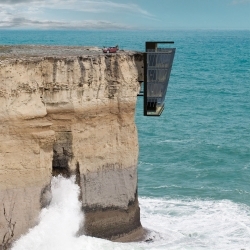 Cliff House, a conceptual design by Modscape that clings to a cliff on the south-west coast of Victoria. 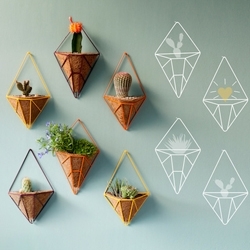 Hedge is a new brand of outdoor accessories with colorful and lively shapes. It aims to create exciting and fun ways for the urban dweller to add greenery to his or her home, whether on a patio, balcony, or a tiny corner in the kitchen. Identity designer Iancul (Iancu Barbarasa)'s playful Drawriting project turning thoughts and letters into visual puzzles in drawriting. 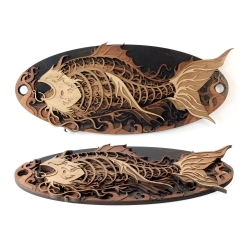 Intricate wood carvings by Martin Tomsky. 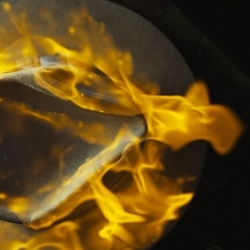 VIDEOThe Hat Maker by Dean Bradshaw. 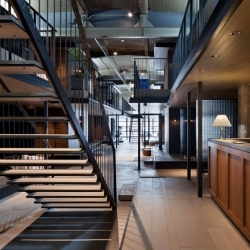 Hotel Cycle, a hotel designed with cyclists in mind by Suppose Design Office as part of Onomichi U2 in Hiroshima. 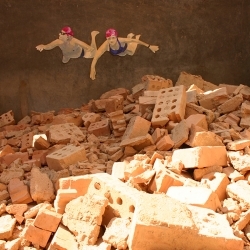 Beautiful Urban Interventions made on the streets, houses and abandoned places. By Raquel Schembri. 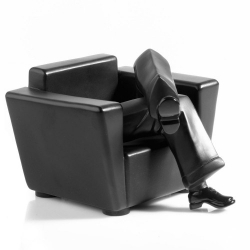 He Sculpture invites you to explore how a pair of legs can physically express human emotions through simple shifts in position. 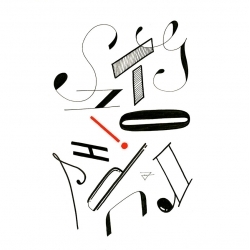 Music translated from something we hear into something we can taste? 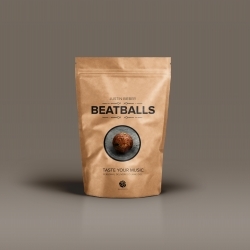 Through programming, design, and just the right amount of absurdity, convert music into flavors - meatballs. 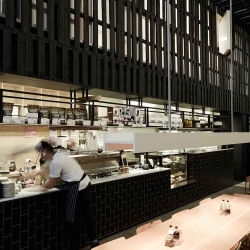 Industry Beans Café, Australia, where pallets are used to define interior space. 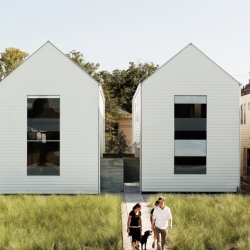 By Figureground Architecture. 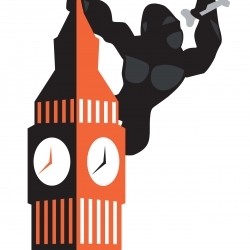 Rotofugi's The Brews Brothers show isn't to be missed! 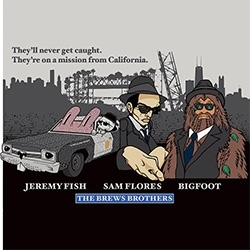 Bringing together Jeremy Fish, Sam Flores & Bigfoot for some amazing original new works. 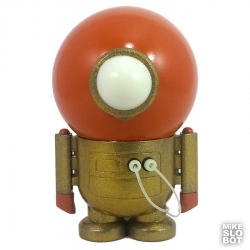 Slobot for the Silent Auction in Raleigh, NC, to benefit victims of human trafficking. 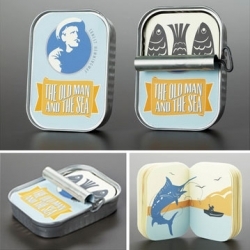 Nina Marie Cornelison's fun take on Hemingway's Old Man & the Sea. 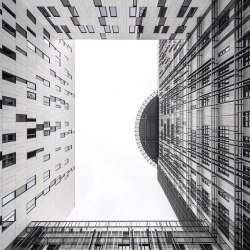 Saraiva + Associados's Lisbon police headquarters. 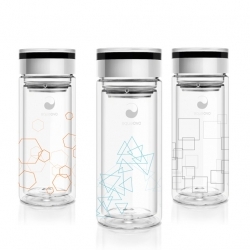 Aquaovo's drinking bottle Therm-O GE[O]. 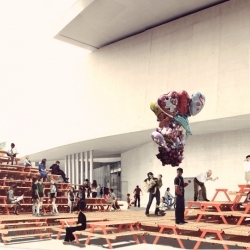 Picnictopìa, installation for MAXXI, the National Museum of XXI Century Arts, the first Italian national institution devoted to contemporary creativity and conceived as a broad cultural campus. 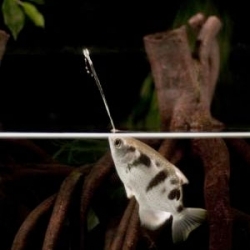 Researchers at the University of Bayreuth discover that archerfish can use their mouths to adjust the focus of their water jets and maximize harm on prey at different distances. 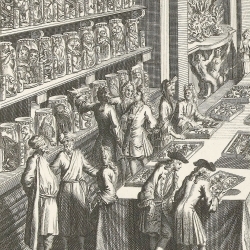 Bert van de Roemer explores the curiosity cabinet of the Dutch collector Levinus Vincent. Sticker campaign for the new Fast-Food Restaurant chain Grrrilla by Spritz Creative. 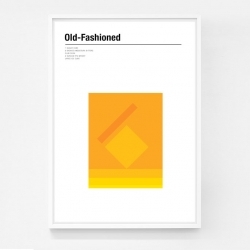 Minimalist cocktail posters from Nick Barclay. 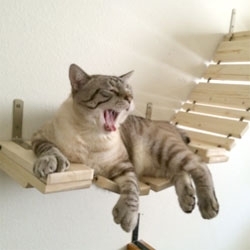 Furniture for cats from Portland based CatastrophiCreations. 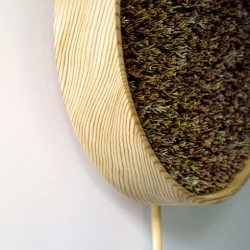 The Coniferous Clock from Bril is filled with coniferous leaves that slowly change from green to brown over the course of the year. 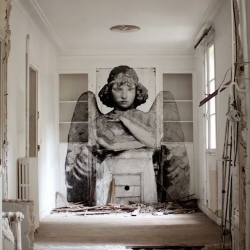 Street Art and Wall Murals by YZ Yseult. 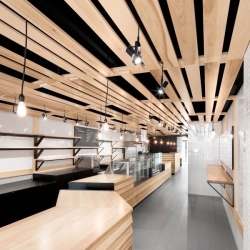 Au Pain Doré, a Montreal Bakery designed by Naturehumaine.